From scene one of Blue Jasmine, I got the notion that this movie was going to be a lot of talking. This dictated that I was going to have to conquer my viewing with a cup of coffee in hand; so I did. 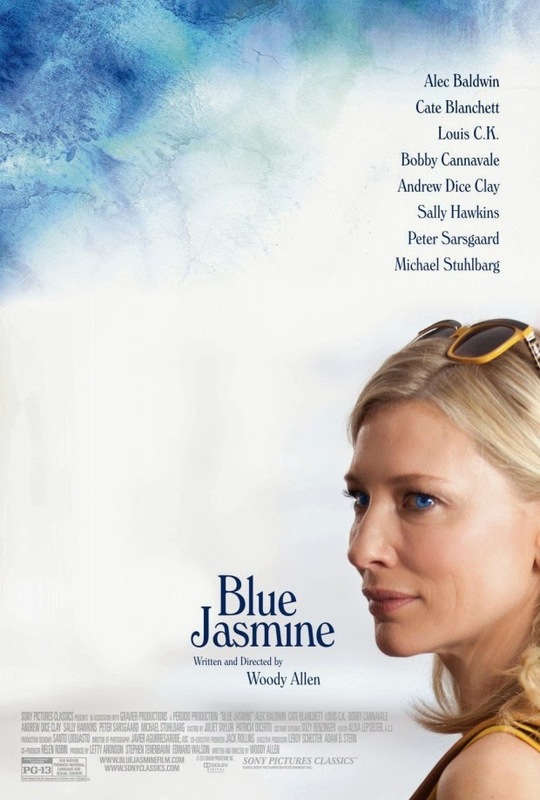 Here's the report: Blue Jasmine is a solid entry into this year's Academy Awards. It's an engrossing movie that harbors exceptional characters and an even better cast to bring these characters to life. With all this in mind, I also took note of the fact that it's probably the unhappiest film of the year. Jasmine—played by Cate Blanchett—is a total mess. She takes Xanax to prevent herself from having nervous breakdowns on a daily basis because she decided lithium wouldn't do the trick. She drinks vodka and martinis at two o'clock in the afternoon, she lies, and she takes advantage of everyone around her to support the image she builds for herself in her head. She comes to San Francisco to stay with her sister and her two kids for awhile until she "gets back on her feet", though she, nor her sister, are sure this will ever happen. But by the tone of the movie, it's clear that this is not all there is to the story, so, while the whole process of this is happening, the movie zooms in on her life years before, when she was married to Hal (played with exuberance by Alec Baldwin), a hotshot businessman whose credibility becomes a risk for his job and family. This story parallel that the screenplay creates makes for an engaging, worthwhile moviegoing experience. The scenes that depict her relationship with her husband seamlessly flow into present day, which creates a sense of understanding for the main character whose flaws and shortcomings are all a result of her shipwreck of a marriage. There's a gap of time between these linear tellings that are, brilliantly, left to the viewer to depict. We aren't spoon fed the exact happenings and circumstances that made her so unstable, but we have a clue, and, to be sure, sympathy is had. It's not that we like Jasmine, or root for her, but we have an understanding for her that we feel no one else does. That's what makes this motion picture so moving. 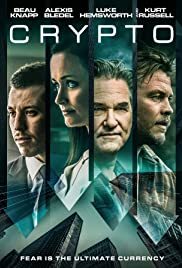 On top of that, what comes with the well-crafted film is a cast of seemingly veteran actors that make this a believable, upsettingly realistic movie. Cate Blanchett isn't nominated for an Oscar because of her stand-out performance or ability to take control of the screen. She's nominated for Best Actress because of her mere ability to encompass the dynamic character that is Jasmine. To begin with, she looks the part. Moreover, she commits every small action with even the slightest detail to embrace this character for what she is. In part, this is what makes Blue Jasmine such a convincing movie. The wonderful thing is, she's not the only one carrying weight; we have Alec Baldwin who gives a lively, incredible performance as Hal. The smooth, quick-to-think nature of his character is brought to life all too well. We start to, as audience members, fall subject to his charisma, well aware of his wrongdoings that Jasmine fell victim to. Then we have Sally Hawkins (who is nominated for Best Supporting Actress), Andrew Dice Clay, Louis C.K., and Bobby Canavale who contribute their best efforts to spice up this film; that's exactly what they did. And throughout the proceedings there is a evocative, unique soundtrack that consists of songs like "Blue Moon" from 1934 and "Back O'Town Blues" from the same time. These vintage songs that play over what's happening benefit the screenplay greatly by helping make more vivid what we are feeling as we watch what happens to the characters on-screen. There were a lot of films that came out this Oscar season, and some used music notably well. Take, for example, The Wolf of Wall Street. Others, like Dallas Buyers Club, the opposite. I'm glad to report that this insightful, artistic film is in the former category. Conclusively, I'd honestly say that Blue Jasmine is one of the best films of the year. However, it's elongated, talkative style of storytelling will most likely turn some viewers off, which is one of the reasons I think it wasn't nominated for Best Picture. With that being said, I'd like to point out that this movie has an admirable maturity about it. There isn't the slightest bit of sugarcoating, and, as a result, this movie isn't superficial in the least bit.